Lighthouse cruises are unique tours of magnificent lighthouses that can provide your group with the perfect blend of history and beauty. Departing from the World’s Fair Marina in Flushing, Lighthouse cruises make it easy for you and your group to enjoy a unique and delightful day. Want a sightseeing cruise that’s different from a typical New York Harbor cruise? Lighthouse cruises could be just what you’re searching for. 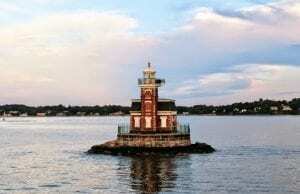 Experience the enchantment of private lighthouse tours. Skyline’s lighthouse cruises tour beautiful harbors making them perfect for school groups, senior citizens, travel groups, individuals, families, and all types of organizations. 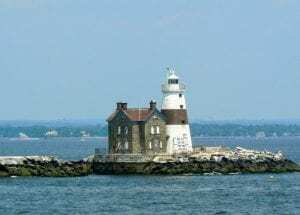 Skyline Princess lighthouse brunch and sightseeing cruises visit three historic lighthouses and such splendid sights as the awe-inspiring mansions of the Gold Coast of Long Island Sound, impressive yachts, and more. The Skyline Princess has three spacious decks, outdoor viewing areas on every level, covered top deck, climate-controlled first and second levels. Count on our lighthouse cruises, rain or shine, to keep your weekend plans unaffected by weather. Our enclosed areas allow for the first-class viewing you want and the comfort you need for all your lighthouse tours. Join us for a Long Island Lighthouse Brunch and Sightseeing Cruise viewing Fort Schuyler and Fort Totten, Execution Rocks, Sands Point, and Stepping Stones Lighthouses, the Kings Point Merchant Marine Academy, Hart Island, the Throgs Neck and Whitestone Bridges and the mansions of the North Shore of Long Island. 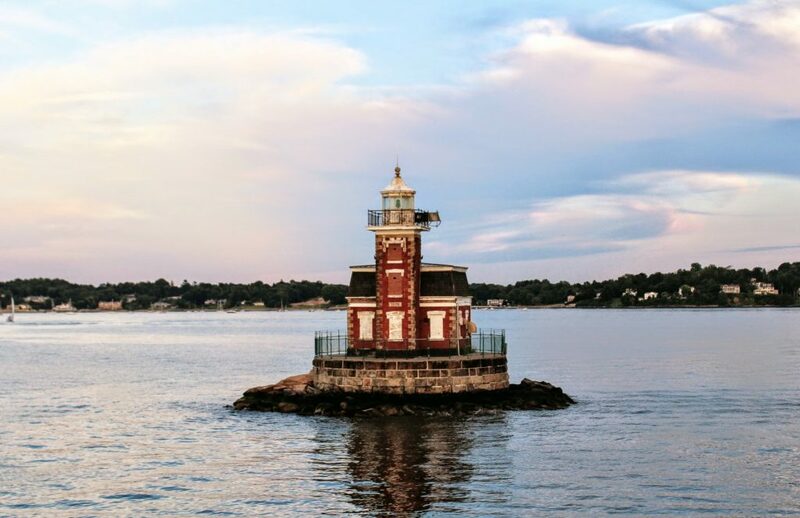 These lighthouse brunches, lunch, and sightseeing cruises sail from the Worlds Fair Marina in Flushing, NY. For a list of our upcoming lighthouse cruises, please click here for our lighthouse schedule! For more information about our Lighthouse Cruises fill out the contact form below!